Hi I’m Len Holmes, I am the Managing Director of "The Lakewood Group", an Executive Recruiting Organization. Over the past 12 years I have prepared, along with my teammates, literally thousands of candidates for their interviews. 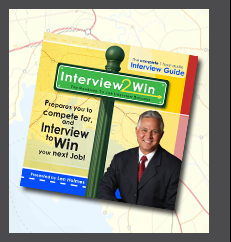 The motivating factor for creating this Interview Help Tool is that it is impossible to cover all the interview tips in a 20 minute conversation and very difficult for you, the candidate, to absorb it all. No matter if I am preparing either an individual to interview who has had a number of senior level jobs, or someone just graduating from college… both always learn something from my preparation, if they are coachable. Also, because I get calls from friends, friends of friends, kids of friends, and the list goes on, for interviewing tips, I decided that this might be the most beneficial tool I can provide for job seekers. Obviously, a great resume is important, but as I always say, it only gets you a TICKET TO THE DANCE - or interview. It is the interview that lands you the job! Some of the suggestions I will make may be obvious, if you have interviewed a lot in the past, but it only takes 1 resourceful tip that may differentiate you from your competition. Remember you are competing and more than likely other candidates have not prepared for the interview in this manner! Well the choice is yours… if you implement into your interview process the majority of what I suggest in the next 60 minutes it will not guarantee you land the job, but it will increase your chance of success at least ten fold.